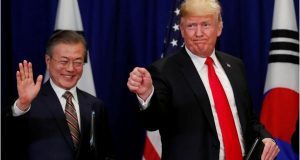 CNN, 한국 최초 유기견 퍼스트독의 의미 - Newspro Inc.
한국의 문대통령은 전례없이 퍼스트독으로 유기견을 선택했다. 현대국가라지만 동물복지에 있어서 만큼은 진전 속도가 급속한 경제발전에 미치지 못하는 한국에서, 당선 직후 문 대통령은 “인간과 동물은 모두 편견과 차별로 부터 자유로울 권리를 가지고 있다는 믿음으로 토리를 ‘퍼스트 도그’로 입양할 것이다”고 말했다. 2015년에 한국에서는 거의 80만 마리, 2010년에는 100만 마리에 이르는 유기동물이 발생했다. 한국의 동물보호법에 따르면 유기동물은 10일 안에 입양되어야 하며, 그렇지 않으면 안락사된다. 2015년에는 보호소 동물들 중 42% 이상이 죽거나 안락사 되었다고 농림축산식품부가 밝혔다. 소비자보호원에 따르면, 겨우 5.2%만이 동물보호소에서 입양되었다. 보호소 동물들은 비위생적이라고 여겨지기 때문에, 대부분의 반려견들은 번식업체들로부터 공급된다. 한국은 동물복지를 진정으로 보호할 수 있는 강력하고 보다 현대화된 법과 집행 체계가 필요하다. 그 내용은 동물보호소, 인식 교육 프로그램, 불임 및 중성화 프로그램 그리고 개고기 산업 전환을 위한 사업 보조금에 대한 정부지원이 되어야 할 것이다. 강력한 동물복지법은 동물과 인간에게 모두 도움이 되는 것이며 미국과 유럽에서 동물 복지 프로그램에 대한 한국의 입지를 높일 것이다. 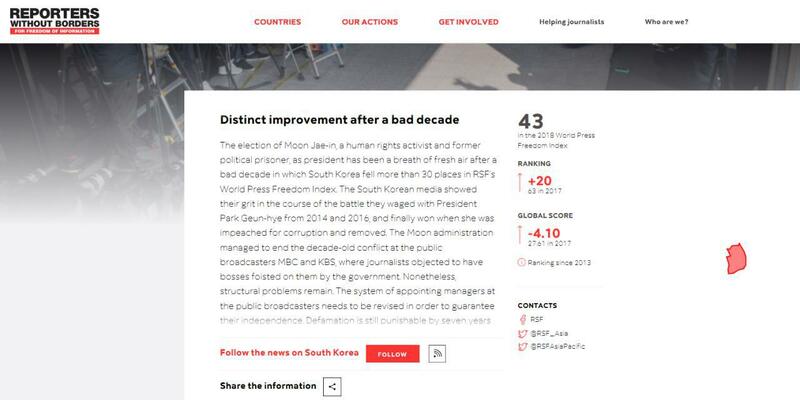 다음은 뉴스프로가 번역한 CNN 기사 전문이다. 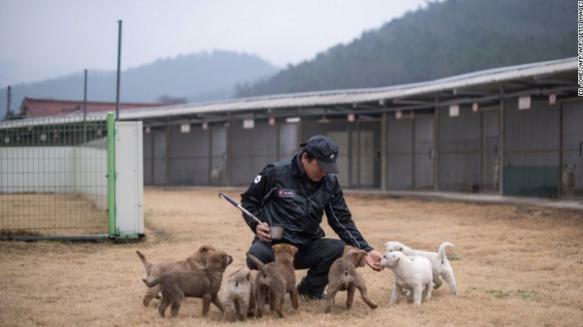 A Jindo dog breeder stands before puppies at his facility on the southern island of Jindo. The Jindo dog is a symbol of South Korea, and breeders and authorities work to keep its bloodline pure. 진돗개 사육사가 진도에 있는 본인 시설에서 개 앞에 있다. 진돗개는 한국의 상징이다. 사육사들과 당국이 순수 혈통을 지키기 위해 노력한다. 문 대통령은 이례적으로 유기 반려동물들을 청와대로 데리고 왔다. 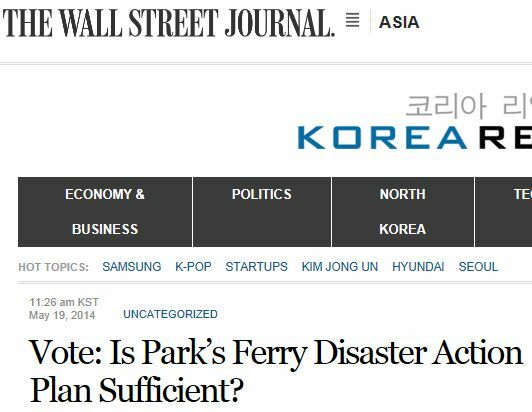 Jasper Kim is a Professor at Ewha University in Seoul, Korea, a senior fellow at Melbourne Law School, Chief Executive of the Asia-Pacific Global Research Group, and an attorney. The opinions expressed here are solely his. 재스퍼 김 씨는 이화여대 교수이자 멜버른 법대 선임연구원이며 아시아태평양글로벌리서치그룹 설립자이자 변호사다. 여기에 실린 의견은 본사와는 무관하다. 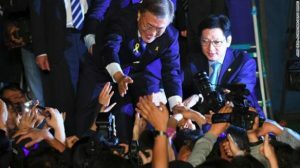 (CNN) When South Korea’s new president Moon Jae-in took up residency in the Blue House last month, his choice of pets raised some eyebrows. (CNN) 문재인 한국 신임 대통령이 지난 달 청와대에 입주했을 때 그의 반려견 선택은 놀라움을 자아냈다. Unlike his predecessor, he didn’t exclusively go for pure-bred white Jindo dogs renowned for their devout loyalty and stoic beauty. Instead he chose a rescue dog and cat (named Tory and Jjing-Jjing) — a move hailed by animal rights activists. 전임 대통령들과는 달리 그는 충성심과 절제된 아름다움으로 유명한 순수혈통의 하얀 진돗개를 선택하지 않았다. 대신 문 대통령은 동물권 활동가들로부터 환호를 받으며 유기견과 유기묘(토리와 찡찡)를 선택했다. The mere image and civil act of Korea’s new president showing compassion for abandoned and abused rescue animals will be both positive and powerful. South Korea is a modern country, but its progress when it comes to animal welfare lags behind its rapid economic development. 버려지고 학대 받은 유기 동물들에 연민을 보여주는 한국 신임 대통령의 소탈한 이미지와 시민적 행동은 긍정적이면서도 강력하다. 한국은 현대국가지만 동물복지에 있어서 만큼은 진전 속도가 급속한 경제발전에 미치지 못하고 있다. “Tory, by conventional standards, is an ugly dog covered in black hair. I will adopt him as ‘first dog’ in the belief that both humans and animals have the right to be free from prejudice and discrimination,” stated Moon, shortly after being elected. 당선 직후 문 대통령은 “전통적 관점에서 토리는 검은색 털로 덮인 못생긴 개다. 인간과 동물은 모두 편견과 차별로부터 자유로울 권리를 가지고 있다는 믿음으로 토리를 ‘퍼스트 도그’로 입양할 것이다”고 말했다. 많은 한국인들은 잡종견들과 고양이들이 “순수하지 않다”고 여긴다. 그리고 여전히 많은 사람들이 개와 고양이를 비롯한 모든 종류의 동물들을 “불결”하거나 “지저분하다”고 본다. The few prized dogs that do exist in South Korea are typically light or white-colored purebreds — an antiquated notion of purity and cleanliness. 한국에 실제 존재하는 소수의 가치 있는 품종은 전형적으로 밝은 색 또는 흰색의 순수혈통으로 이는 순수와 깨끗함을 상징하는 낡은 개념일 뿐이다. 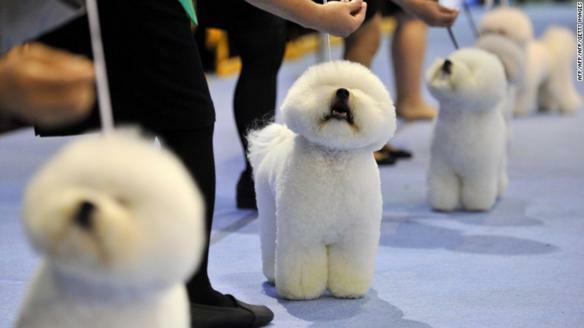 Breeders keep their Bichon Frise dogs in a line at the Seoul FCI International Dog Show. 사육사들이 서울국제애견쇼에서 비숑 프리제 애견들을 한 줄로 세우고 있다. Such views have had negative ripple effects when it comes to the conditions surrounding abandoned and homeless animals in South Korea. 한국에서 그러한 시각은 버려진 유기 동물을 둘러싼 환경과 관련하여 부정적인 파급효과를 불러 일으켰다. In 2015, nearly 800,000 animals were abandoned — down from 2010, when the figure reached nearly one million. Under the Animal Protection Act, abandoned animals only have ten days until they must be adopted, or they must be killed humanely. 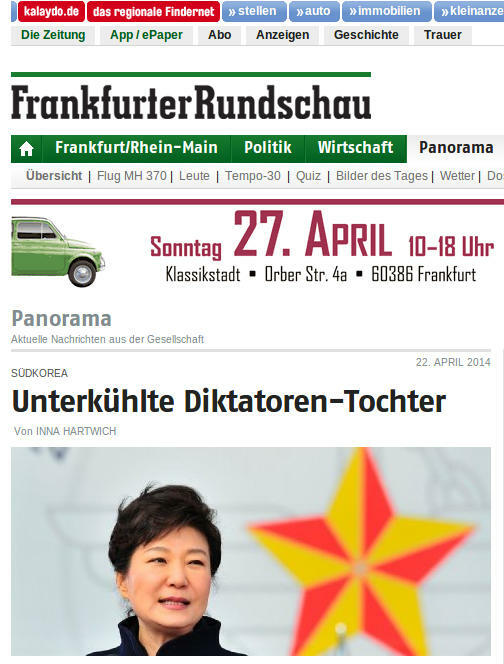 2015년에는 거의 80만 마리의 동물들이 버려졌는데, 이는 거의 100만 마리에 이르렀던 2010년보다 적어진 수치다. 동물보호법에 따라 유기동물은 10일 안에 입양되어야 하며, 그렇지 않으면 안락사된다. In 2015, over 42% of shelter animals died or were euthanized, according to the Ministry of Agriculture, Food, and Rural Affairs (MAFRA). 2015년에는 보호소 동물들 중 42% 이상이 죽거나 안락사되었다고 농림축산식품부가 밝혔다. According to the Korea Consumer Agency, only 5.2% were adopted from shelters. Most dogs are sourced from breeders, because pets from shelters are considered unhygienic. 소비자보호원에 따르면, 겨우 5.2%만이 동물보호소에서 입양되었다. 보호소 동물들은 비위생적이라고 여겨지기 때문에, 대부분의 반려견들은 번식업체들로부터 공급된다. 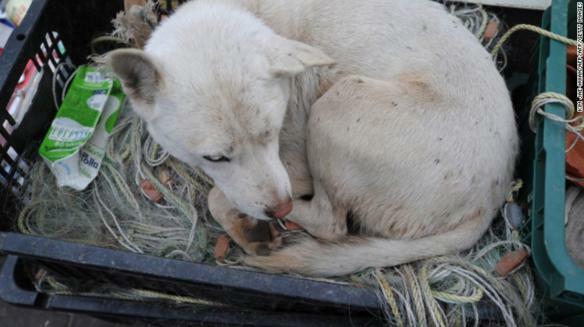 A stray dog lays down in a fisherman’s basket at Yeonpyeong island. Meanwhile, although the concept of “zero kill” shelters, along with spay and neuter programs to help drive down euthanization rates, is emerging in other regions, the concept has yet to take a strong foothold in South Korea. 한편, 안락사율을 낮추기 위해 불임 및 중성화 프로그램과 더불어 “제로 킬” 동물보호소의 개념이 다른 지역에서 등장하고 있지만, 한국에서는 아직 발을 붙이지 못하고 있다. South Korea has also received wide criticism, domestically and internationally, for its dog meat industry. 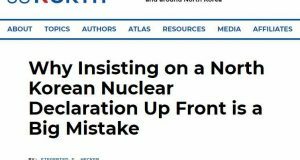 Admittedly, the sector is declining, with the younger generation of South Koreans increasingly spurning the practice. 한국은 또한 개고기 산업에 대해 국내외적으로 광범위한 비판을 받아왔다. 분명히, 이 산업은 젊은 한국인 세대가 개고기 식용 관습을 거부하면서 점점 축소되고 있다. Still, government subsidies and training programs to help transition businesses out of the industry would be highly beneficial for both humans and animals alike in this area. 그럼에도 불구하고, 개고기 산업을 다른 사업으로 전환하기 위한 정부 보조금과 훈련 프로그램은 이 분야의 사람들과 동물 모두에게 매우 유익할 것이다. 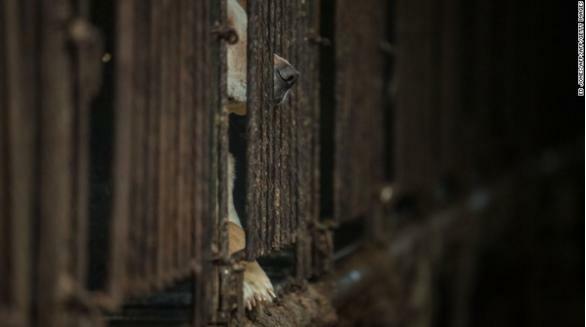 A dog looks out from a cage at a dog farm during a media visit organised by the Humane Society International (HSI) in Wonju, south East of Seoul on April 27, 2016. 2016년 4월 27일 휴메인 소사이어티 인터내셔널(HIS)이 서울 남동쪽에 위치한 원주에서 주최한 미디어 방문 중 한 개가 우리 밖을 내다보고 있다. While the previous administration did focus on pets as a proclaimed initiative, it was a focus on the pet sector as a potential new economic sector through further deregulation, not a policy focus on improving animal welfare. 이전 정부가 선포된 계획 중 하나로 애완동물에 집중하긴 했지만, 그것은 동물복지 향상에 초점을 둔 정책이 아니라 추가적인 규제 완화를 통해 잠재적인 새로운 경제 분야로서 애완동물 분야에 초점을 맞춘 것이었다. In fact, deregulation of the pet and animal industry — which is relatively lightly regulated already — would arguably have led to much worse conditions in terms of pet and animal welfare. 사실, 이미 상대적으로 가볍게 규제되고 있는 애완동물 산업의 규제 완화는 애완동물 및 동물복지 면에서는 더 나쁜 상황을 초래했다는 논란도 있다. What is needed now are stronger and more modernized laws and enforcement mechanisms to truly protect animal welfare in South Korea. 지금 필요한 것은 한국의 동물복지를 진정으로 보호할 수 있는 강력하고 보다 현대화된 법과 집행 체계이다. South Korean presidential candidate Moon Jae-in (C) of the Democratic Party greets his supporters. 문재인 더불어민주당 대통령 후보가 지지자들에게 인사하고 있다. 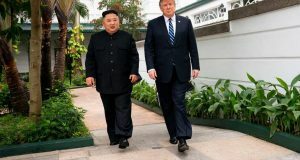 This can include government support for animal shelters, education awareness programs, funding for spay and neuter programs, and business subsidies to shift out of the dog meat industry. 여기에는 동물보호소, 인식 교육 프로그램, 불임 및 중성화 프로그램 그리고 개고기 산업 전환을 위한 사업 보조금에 대한 정부지원을 포함하고 있다. 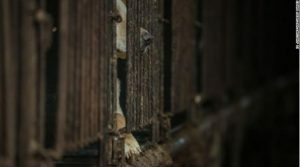 Such measures — helping both animals and humans alike — will help put South Korea on a greater par with animal welfare programs in the US and Europe. 이러한 조치는 동물과 인간에게 모두 도움이 되는 것이며 미국과 유럽에서 동물 복지 프로그램에 대한 한국의 입지를 높일 것이다. 문 대통령 재임기간 동안 한국이 이 지역에서는 최초로 강아지 공장과 다른 끔찍한 동물 학대를 가하는 산업으로부터 동물을 보호하는 ‘동물 감정 법’을 통과시킨 국가가 될 수도 있다. 이 법은 캐나다 및 뉴질랜드에서처럼 “동물은 사물이 아니며 지각을 지니고 있으며 생물학적 요구를 가지고 있다”는 사실을 인정한다. 마하트마 간디는 “한 나라의 위대함은 그 나라 동물이 받는 대우로 판단할 수 있다”고 말했다. President Moon, a vocal animal advocate, now has the opportunity to follow his words with action in the form of passing animal welfare policies. 대표적인 동물 옹호자인 문 대통령은 이제 동물복지 정책을 통과시키는 방식으로 자신의 공약을 실천할 기회를 갖게 되었다. 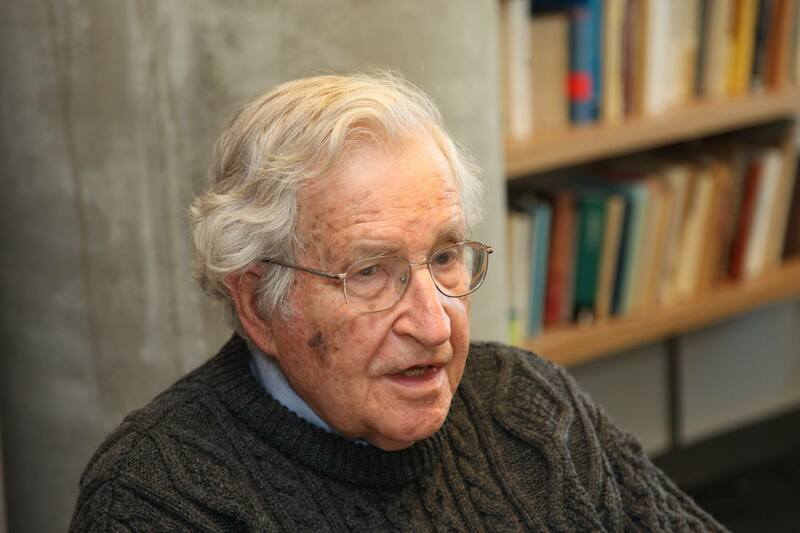 A great nation must not be defined as merely being a rich nation, but a compassionate nation. 위대한 국가는 단순히 부유한 국가가 아니라 자비로운 국가로 정의되어야 한다.